Over the past nine years, Constructing Modern Knowledge has created unprecedented opportunities for educators to spend time in the company of greatness and to interact with their heroes. Just consider the mind-blowing and world-changing guest speakers who have shared their expertise with us. One educator in the world has eluded us until now. We are thrilled and honored to announce that Professor Carla Rinaldi, of Reggio Emilia, Italy, will be joining us as a guest speaker during CMK 2016 – July 12-15, 2016! Experts like Howard Gardner and Jerome Bruner travel to Italy to learn from her! The Reggio Emilia approach is widely acclaimed as the most mature, innovative, subtle, sophisticated, creative, and creative instance of liberating each child’s potential in the world. Carla Rinaldi has been at the center of these efforts since she began work with Reggio Approach founder Loris Malaguzzi in 1970. 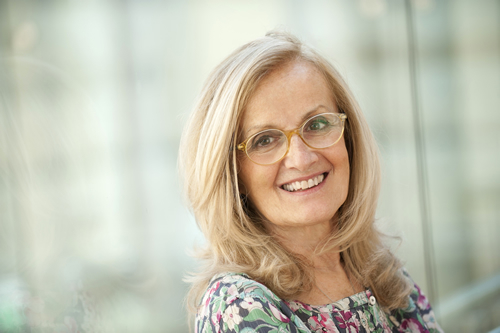 As President of the non-profit Reggio Children, Professor Rinaldi oversees professional learning, outreach, research, and sustained development in the municipal preschools of Reggio Emilia. Although the “Reggio Approach” is borne from schools educating children ages 0-6, their 50 years of expertise, wisdom, and powerful ideas has much to meet educators of all levels. This work also provides a fertile theoretical context for justifying and sustaining the nascent maker movement in schools. Professor Carla Rinaldi is an internationally-renowned advocate for children and childhood. Her expertise, work and experience continue to influence and inspire children’s learning and growing around the world. Professor Carla [Carlina] Rinaldi is one of the world’s most profound educators and leading authorities on what has been called the best schools in the world, the municipal preschools of Reggio Emilia, Italy. Her lifetime of work with Reggio’s youngest citizens should inform all progressive school improvement efforts, as well as what has become known as the maker movement in schools.Recipient of the 2015 LEGO Prize and Adelaide (Australia) Thinker in Residence 2012–2013, Professor Carla Rinaldi is a world leader in education for children in the early years. 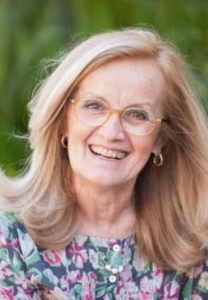 She has been the President of Reggio Children since 2007 and is the first President of the Reggio Children – Loris Malaguzzi Centre Foundation. Carla is also a Professor in the Faculty of Education at the University of Modena and Reggio Emilia.Professor Rinaldi worked side-by-side with Loris Malaguzzi, the founder of the Reggio Emilia Approach, from 1970 until his death in 1994 in the municipal infant toddler and preschool system of Reggio Emilia, where she was the first pedagogical coordinator. Carla has been working as pedagogical/scientific consultant for Reggio Children, since 1994, following the supervision of all Reggio Children initiatives. She was responsible for research projects in collaboration with Harvard University, the University of New Hampshire and the University of Milan – Bicocca. Professor Rinaldi has been vice-president of the Gruppo Nazionale Nidi-Infanzia (National Early Childhood Association) and has had tenures as visiting Professor at the Webster University (St. Louis, Missouri) and at the Colorado University (Boulder, Colorado). From 2004-2007, Carla Rinaldi was a member of the Reggio Emilia City Council. In 2007 and 2008, Carla Rinaldi was appointed as a consultant in several different Commissions of the Italian Ministry of Education. Carla Rinaldi has been a speaker at numerous seminars and conferences in Italy as well as in Europe, the United States, Australia and Asia. In 2011 she was invited to participate in the Presidential Conference on Early Childhood Education and Care (ECEC) “Excellence and Equity in Early Childhood Education and Care”, Budapest. In 2010 she participated in the UNESCO World Conference on Early Childhood Education and Care “Building the Wealth of Nations”, Moscow. Professor Rinaldi lectures frequently on the Reggio Emilia experience, and has published many articles, chapters, and books in Italian and English. Her book, In Dialogue with Reggio Emilia: Listening, Researching and Learning, is a must-read. Here is a pretty good overview (DOC) of the incredibly subtle and sophisticated Reggio Emilia Approach for the uninitiated by former CMK guest speaker, Lella Gandini. The North American Reggio Emilia Alliance web site offers a host of resources. Read Gary Stager’s 2002 article about the Reggio Emila approach, The Best Idea this Side of Italy. 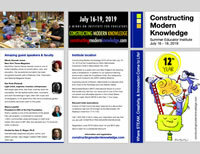 Register for Constructing Modern Knowledge 2015 today!